As you read this, it has likely been only a week or two that you’ve been able to see your lawn this spring. What an interesting spring it’s been! One of the most important spring lawn care practices is simply cleanup of leaves, grass debris, pet poop, etc. If this debris is left on the lawn for too long it will hinder grass growth underneath. Often this can be a waiting game, as getting on the lawn too early can cause more harm than good. Generally, if the surface of your lawn has dried out and the grass is showing some signs of life, a nice cleanup effort will do wonders. I suggest to use a leaf rake or a blower to go over your lawn lightly and add the collected debris to your compost pile. Preemergent herbicides used to prevent crabgrass must be put down before crabgrass germinates to be effective. The correct timing for these applications can change every year, and this year is no different. As of this writing, we are just beginning to recommend applications of crabgrass preventers in the Twin Cities. Most of these products contain fertilizer and because of this, we want to be sure the grass is growing before making an application. Fertilizer applications to dormant lawns are not recommended due to the potential movement of these nutrients when the grass is not actively absorbing them. Many homeowners often use phenological indicators to make these applications, such as when the forsythias are blooming, and this can be an excellent indicator of when to apply these products. I like to use a growing degree day tracker, which can be found here: gddtracker.net. Simply input your zip code and select crabgrass PRE from the menu. Dr. Kevin Frank from Michigan State University explains this website in greater detail here. Damage to lawns from snow mold is nothing new for us Minnesotans. 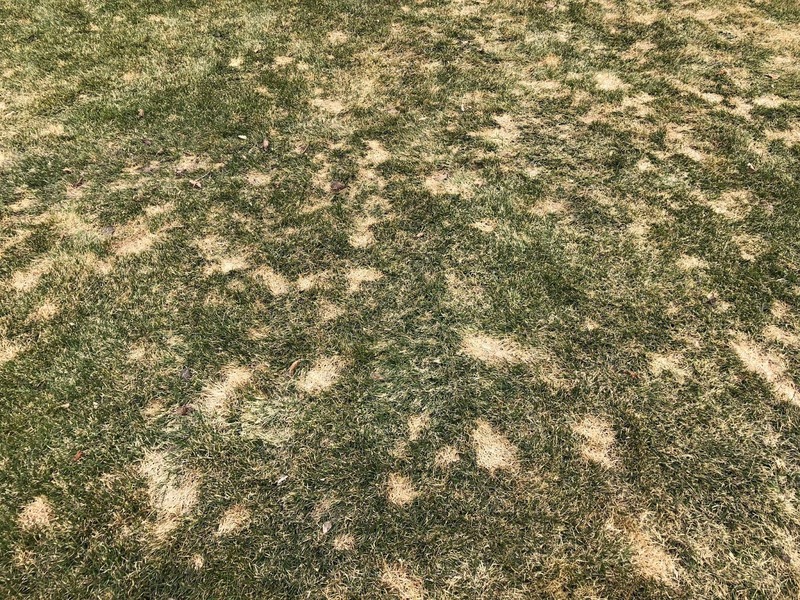 Ultimately, there are three species of snow mold fungi that affect lawns in Minnesota- pink snow mold, gray snow mold, and speckled snow mold (gray and speckled snow mold are often discussed together as they both occur from the typhula fungus). The good news with snow mold is that damage to lawns is rarely devastating and we often suggest a light leaf rake over the area to encourage recovery. Fertilizers and overseeding will also aid in recovery. For more information on snow molds, please visit this article written by Extension Educator Michelle Grabowski. If you experienced lawn damage from winter or if your lawn was in poor shape last fall, there are several steps that you can take to improve the quality of your lawn this spring. First and foremost, overseeding will likely be required, and in that case, be sure to not apply a crabgrass preventer to areas that you plan to overseed; traditional crabgrass preventers will also prevent the germination of desirable grasses. 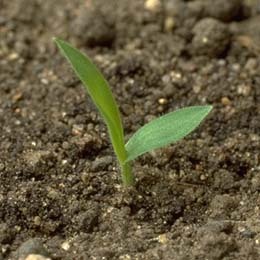 Two products that will prevent crabgrass germination and still allow germination of grass seed are: siduron and mesotrione. You can purchase these active ingredients in combination products with a starter fertilizer, which would also be appropriate for new establishments. Characteristics of various cool-season grasses for Minnesota lawns can be found here. We also have information available on selecting grass seed and where to purchase. Finally, follow these publications for more information on selecting grass seed mixtures: Part 1 and Part 2. The cold spring this year has certainly shortened the window for spring lawn care practices. With proper planning, you should still be able to accomplish all of the lawn care activities that you had intended to this year. Although not discussed in this article, be sure to keep in mind all of the important cultural practices for a healthy, environmentally friendly lawn. This would include judicious watering, proper mowing practices and heights, aeration, and sound fertility practices. Before you know it, summer will arrive!